Whether a novice canoeist or experienced whitewater kayaker, no paddler should be without an AMC River Guide. 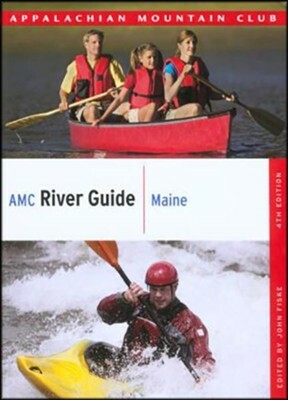 In this completely updated and revised edition of AMC’s River Guide: Maine, paddlers of all ability levels will find the comprehensive, straightforward information they need to experience everything from serene rivers to challenging whitewater. Inside you’ll find nearly 4,000 miles of Maine rivers, including sections of the Northern Forest Canoe Trail. The revised edition includes easy-to-use locator maps with improved detail and eight new watershed maps. Over 140 detailed river descriptions and an easy-to-use format make river selection and trip planning effortless. I'm the author/artist and I want to review AMC River Guide Maine, 4th.